← PULLED OUT OF RETIREMENT, AGAIN! PLEASE GIVE A WARM WELCOME TO MAGIC! Hey! How about some help off the bed! And a BusyBone. Don’t forget my meds. Gettin’ loved on by about 40 people. We had a great time! Everybody was very nice to me. I was petted and loved on constantly for about 70 minutes. Some people would come up cautiously, but I would lay down, look up at them, and let them know they had nothing to worry about. One girl sat on the concrete floor next to me and was giving me a big hug with both arms. I thought I smelled some tears but I didn’t want to look at her and spoil her moment with me. And NO, I am not going home with any body except My Dad. And…NEWSFLASH! 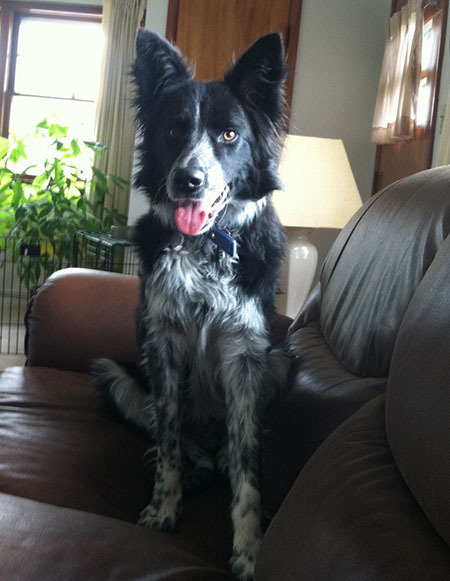 This Saturday, I become the resident boss, trainer, and mentor for MAGIC, who will be adopted from Great Lakes Border Collie Rescue (www.greatlakesbcrescue.org). Follow Magic’s progress as an up and coming therapy dog. Will I be successful in transferring my intelligence, savvy, and intuition to MAGIC? Stay tuned! This is MAGIC from Great Lakes Border Collie Rescue. He arrives for indoctrination, from me, on December 6th! 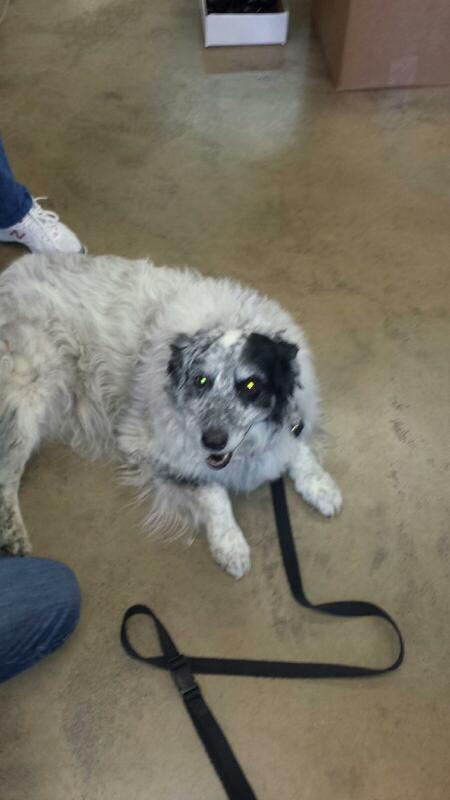 This entry was tagged border collie, border collie rescue, dog, dog rescue, dogs and people, herding dogs. Bookmark the permalink. Great work!! Welcome and good luck, Magic! Thank you for your help, Tom and Cody!